We have our first Tropical Storm of the season off the Florida Atlantic Coast. Arthur is its name. It will be drifting around for the next day or so across the region. 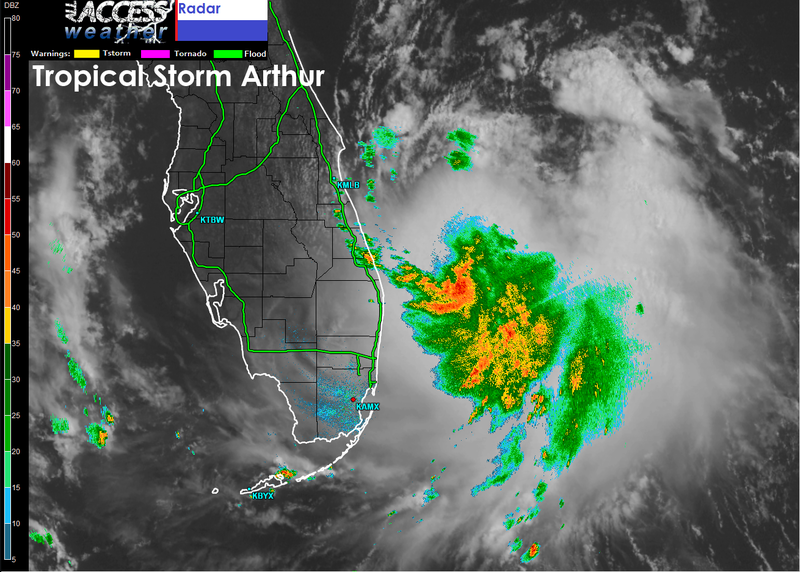 Here is the latest information on Arthur. It will start to gain some forward motion to the northeast in the next couple of days. For those who are travelling down to the Carolina coast this week for vacation, be sure to keep up to date with the very latest on Arthur. We will keep you updated here as well at Weather or Knot. Stay tuned. Posted on July 1, 2014, in Uncategorized. Bookmark the permalink. Leave a comment.